We may not get the chance to see Oprah command Task Force X after all. 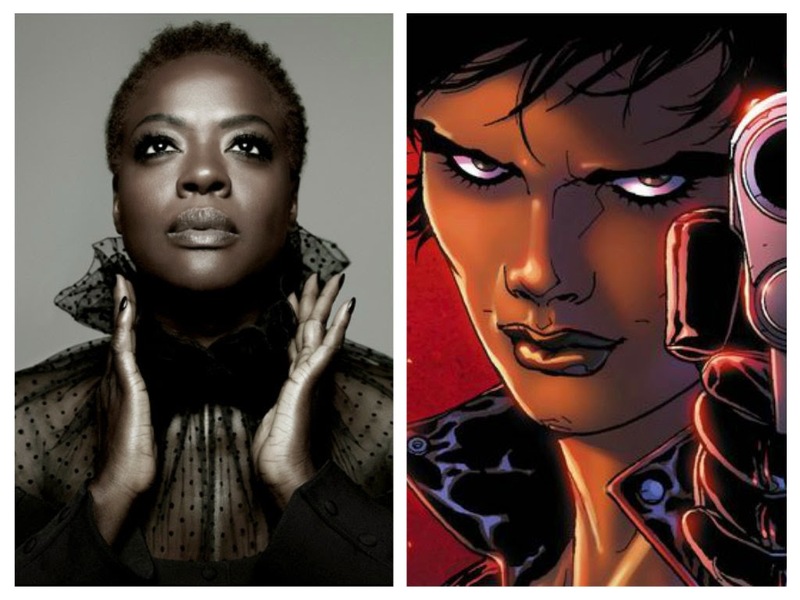 According to Latino Review, Viola Davis has won out over Oprah Winfrey and Octavia Spencer for the role of Amanda Waller in David Ayer's adaptation of DC Comics' Suicide Squad. The acclaimed powerhouse actress is red hot as her ABC drama How to Get Away with Murder crushed the competition on Thursday nights and has all the elements to make a great Waller. Waller is a no-nonsense and stern taskmaster who manages a group of supervillains enlisted by a government agency to perform dangerous black operations in exchange for lighter sentences if they survive. It takes someone with a presence, a bravado and confident demeanor to embody a character like Waller and there's little question Davis can do that. It's quite the casting considering Oprah was first on the studio's wish list but getting Davis is no consolation prize. The critically acclaimed actress can command an audience. She joins an already star-studded cast that includes. Will Smith (Deadshot), Jared Leto (Joker), Margot Robbie (Harley Quinn), Tom Hardy (Rick Flag), Jai Courtney (Captain Boomerang), and Cara Delevingne (Enchantress). Amanda Waller casting David Ayer DC Comics movie Suicide Squad Viola Davis Warner Bros.
Labels: Amanda Waller casting David Ayer DC Comics movie Suicide Squad Viola Davis Warner Bros.